Experience the thrill of Ferraris! Enjoy the first Ferrari Land in Europe! 70,000m2 of sheer fun at a unique theme park. 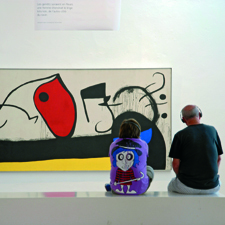 Come and enjoy an unforgettable experience for all the family that won't fail to impress. Come and enjoy the Ferrari experience through its spectacular rides and attractions: the highest -112 m- and fastest vertical accelerator in Europe which goes from 0 to 180 km/h in just 5 seconds; a 570 m race track which is ideal for the whole family, an authentic F1 simulator, and much more. 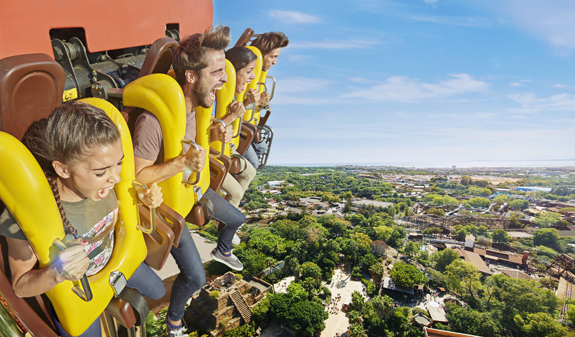 You'll also be able to discover the six worlds at PortAventura Park: Mediterranean, Polynesia, Sésamo Aventura, China, Mexico and Far West; with more than 40 rides and attractions to test your mettle and lots of entertainments for you to enjoy. 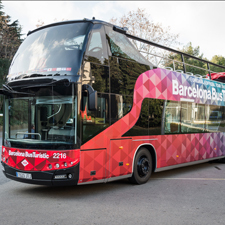 Air-conditioned bus transfer from Barcelona. Admission to Ferrari Land (from 11am to 5pm or from 6pm, depending on your chosen option). From 6/4 to 3/11: daily, departure at 9.30am. From 9/11 to 1/12: Saturday and Sunday, departure at 9.30am. From 6/12 to 8/12: Thursday, Friday, Saturday and Sunday, at 9.30am. From 14/12 to 22/12: Saturday and Sunday, departure at 9.30am. From 23/12 to 6/1/20: daily, departure at 9.30am. 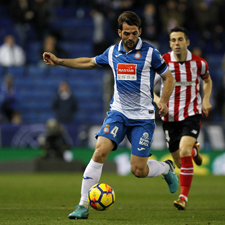 From 23/3 to 15/6 and from 12/9 to 6/1: departure of the bus back to Barcelona: 7.30pm. Estimated arrival: 9pm. From 16/6 to 11/9 departure of the bus back to Barcelona: 8pm. Estimated arrival: 9.30pm. Meeting point: Julià Travel Office. Metro: L1 and L2, Universitat stop or L1 and L3, Catalunya stop. Bus: 14 and 59. FGC: Catalunya stop. The bus from PortAventura Park to Barcelona will depart from the drop off point at the specified time. Please be punctual as this is the only means of transport available to return to Barcelona. Please, arrive 10 minutes before departure. 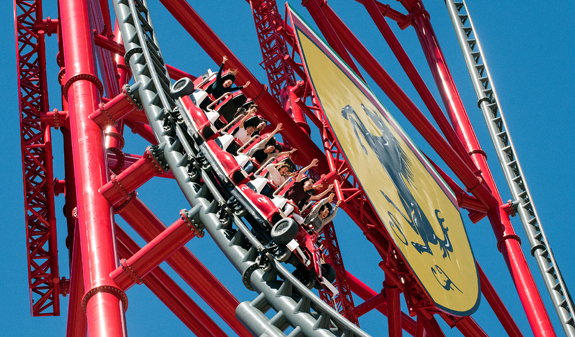 You can enjoy the rest of the time you don’t want to spend in Ferrari Land in PortAventura Park. Please be aware that if you leave PortAventura Park and want to be readmitted, you must ask the staff at the gate to stamp your hand.